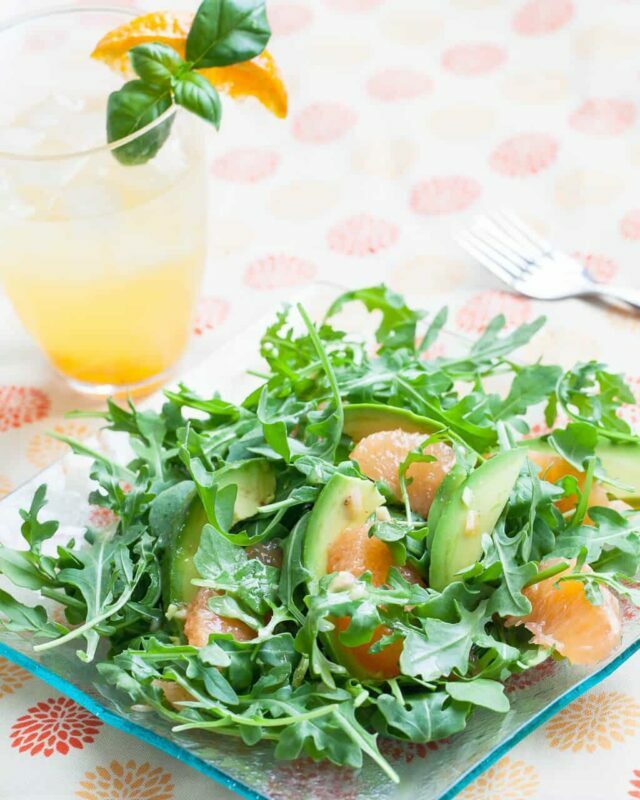 Enjoy this light and refreshing salad featuring ripe avocado and juicy grapefruit. 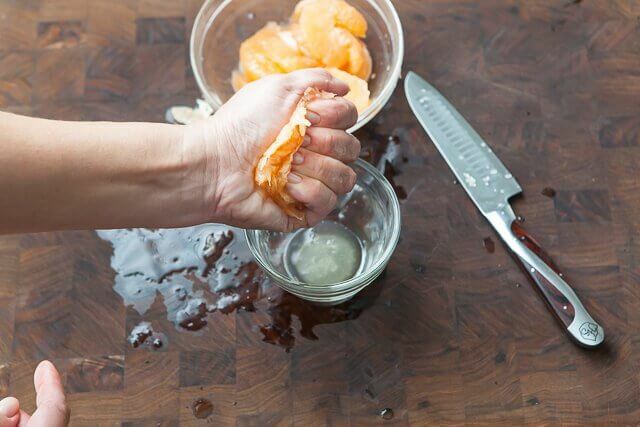 The Grapefruit Shallot Vinaigrette is made in 15 seconds with a shake of a mason jar. 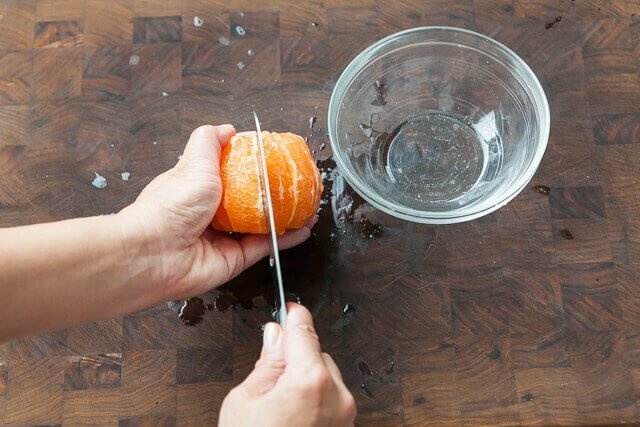 We’re going to cut the grapefruit segments without the tough and bitter membrane. This method is called supreme. 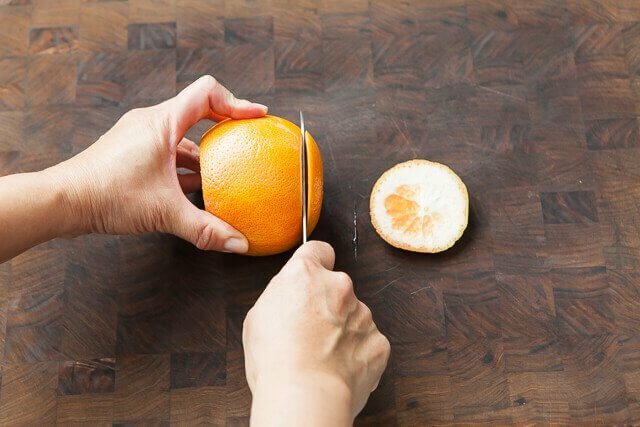 First, trim off the top and bottom of the grapefruit. 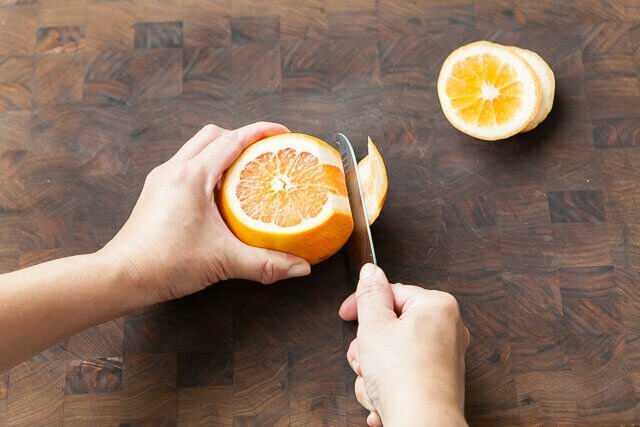 Then, cut off the peel and white pith with your knife, hugging close to the grapefruit, following the shape of the grapefruit. You’ll be left with a bit of pith there and there. You want to cut those off…they are bitter! Find a membrane. Cut just right next to the membrane to remove a segment. 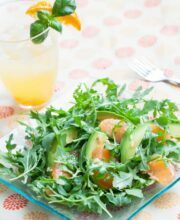 Now you have grapefruit segments for the salad, and grapefruit juice for the Grapefruit Shallot Vinaigrette! 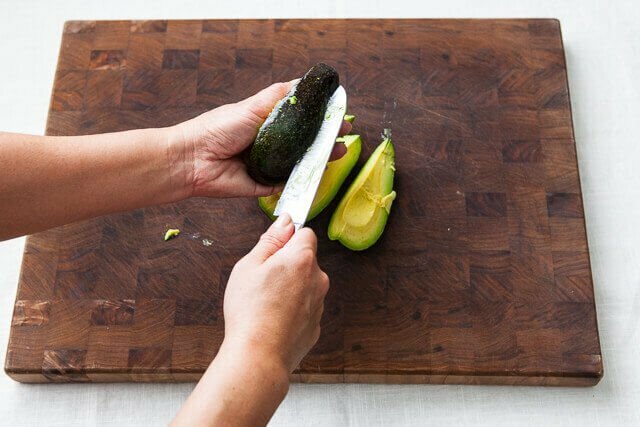 Most people cut themselves when whacking at the avocado seed. 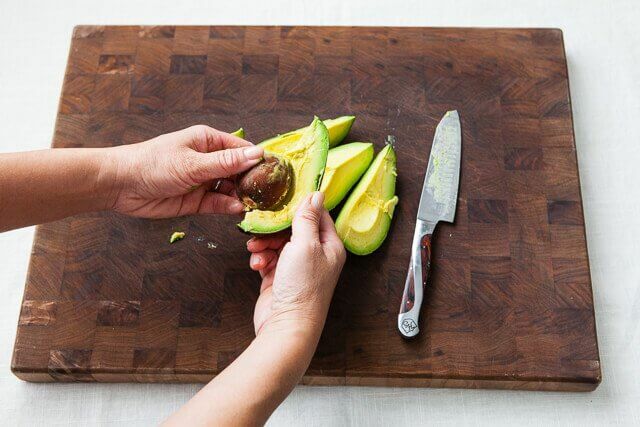 NEVER whack the avocado seed! 1. The seed is ROUND and SLIPPERY. 2. That’s an awfully big and sharp knife you are whacking towards your hand! Here’s safer way. 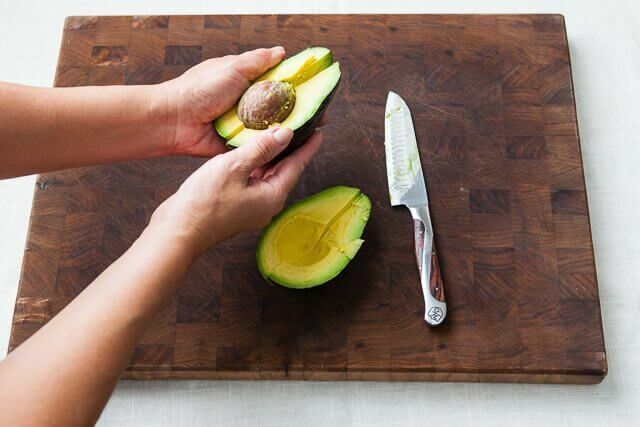 Instead of whacking the avocado pit, cut the avocado into smaller segments and remove the pit easily. 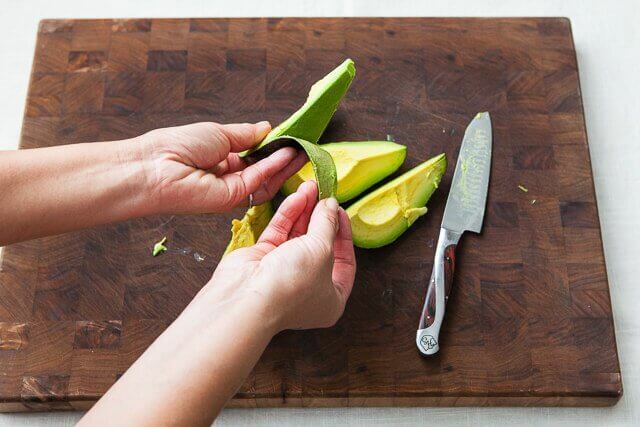 This works best with the avocado is perfectly ripe. 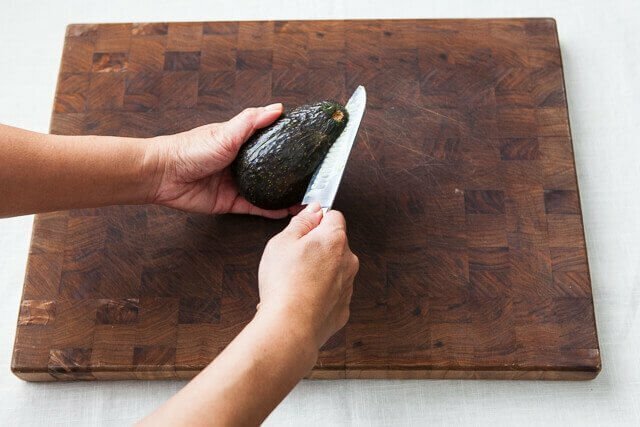 Go around the avocado once. 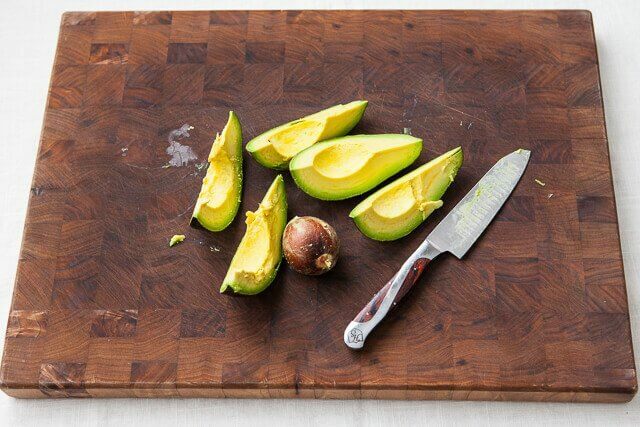 Rotate avocado and go around again…cutting 4 segments. If the pit is stubborn and won’t come out….halve again. 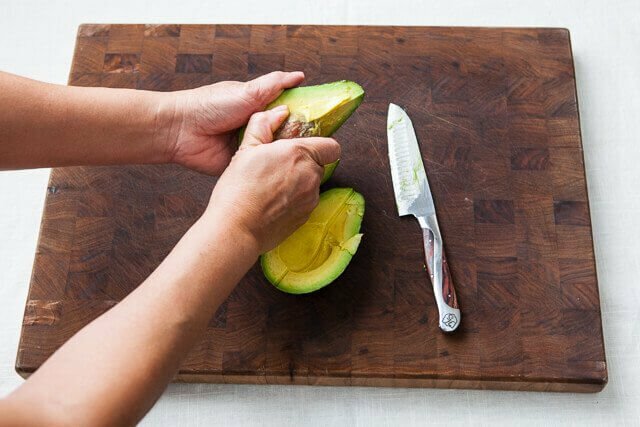 The avocado skin easily peels right off. Add all these ingredients into a mason jar, close tightly, and shake. 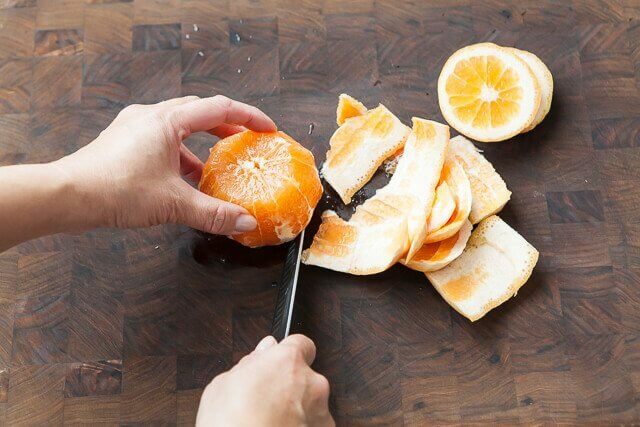 If you’re not using grapefruit, you won’t have grapefruit juice…instead, replace the grapefruit juice equal amount of orange juice. Or lemon juice (add an additional 1 tsp honey). I’ve also just added additional cider vinegar (and additional 1 tsp honey). 1. 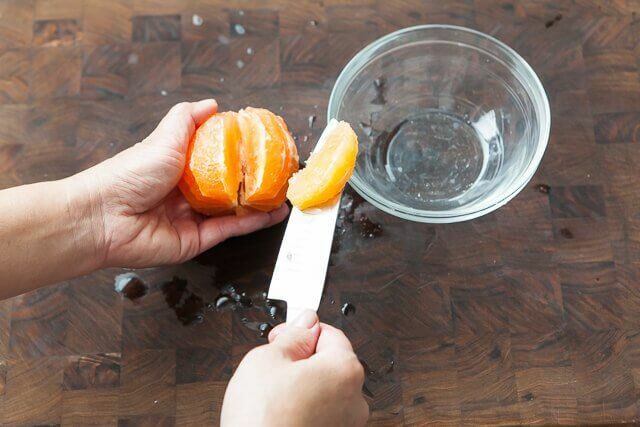 Section the grapefruit without the membrane, saving the juice in a small bowl. 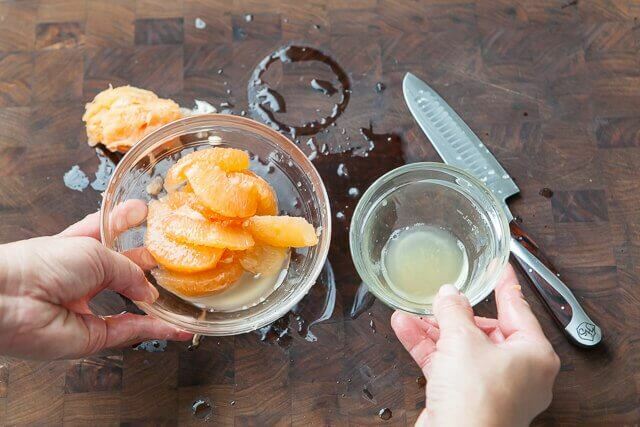 From the leftover membrane, squeeze and reserve as much juice as possible. 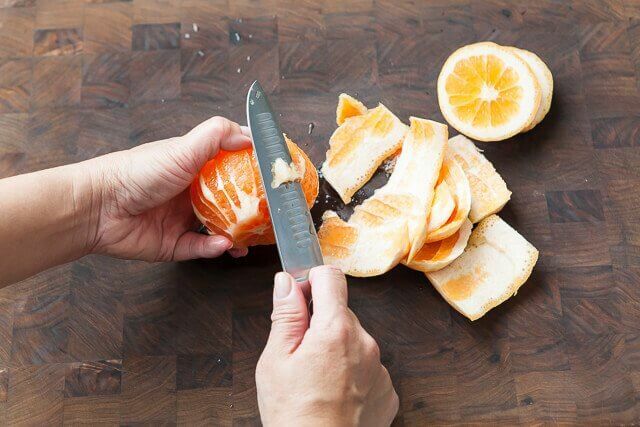 Set aside the grapefruit sections. 2. 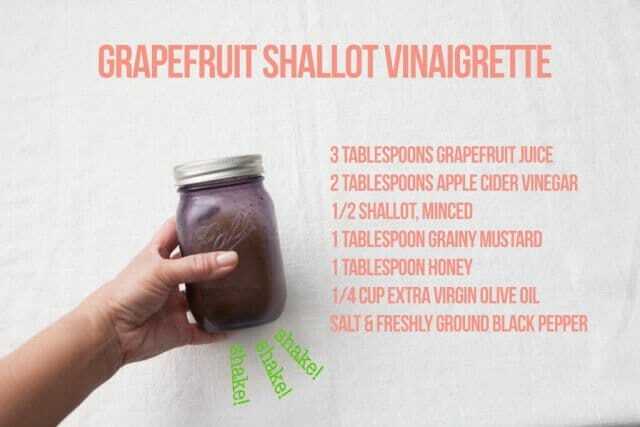 To make the Grapefruit Shallot Vinaigrette, add all of the vinaigrette ingredients into a mason jar. Close lid tightly and shake. 3. 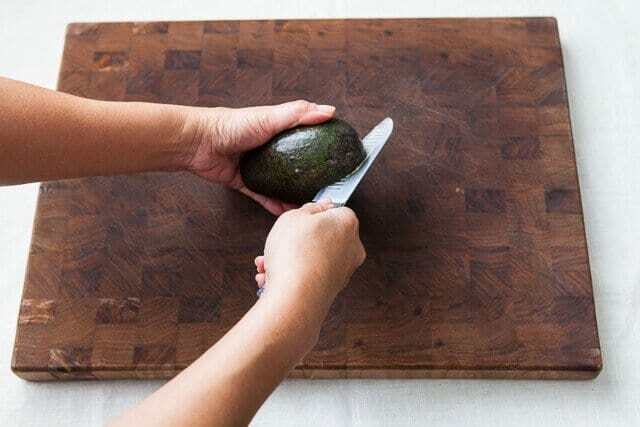 Just before serving, pit and thinly slice the avocados. 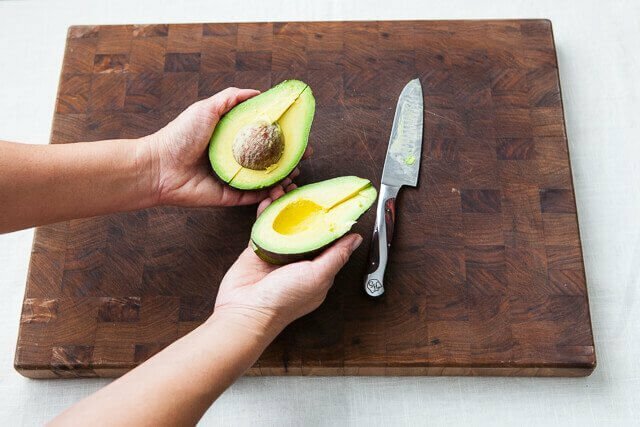 Assemble the salad and toss with the vinaigrette. Wow, this salad looks like it’s so delicious! I love the mix of ingredients you chose. I’m definitely going to try it!! 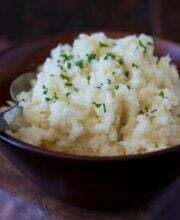 We saw this recipe last night and made it immediately. 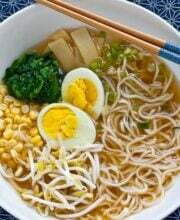 It was so easy and delicious. I especially like the salad dressing! My 5 year old helped me make the dressing. 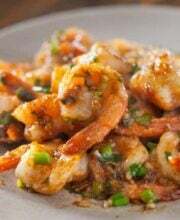 We also added cocktail shrimp to the salad too. 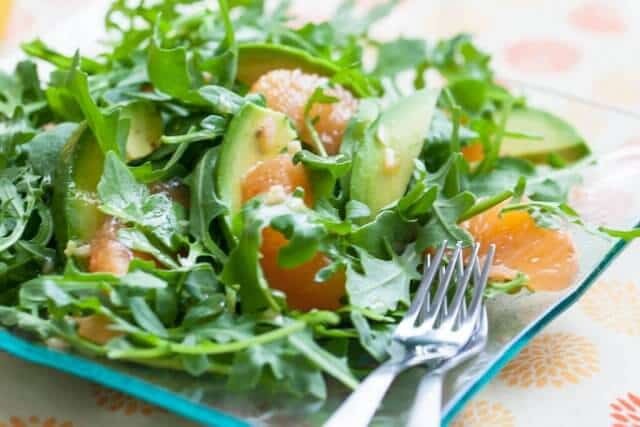 Thank you for the Grapefruit Avocado Salad recipe. My family will love it! 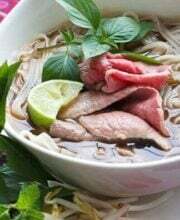 Thank you for the recipe …it looks delicious. My main comment is that I love your suggestion of adding pistachios. I actually have a couple pounds of them and think that would be delightful. Also definitely doing the grapefruit vinagrette…getting tired of my boring old standard. Thank you for such simple creative ideas. 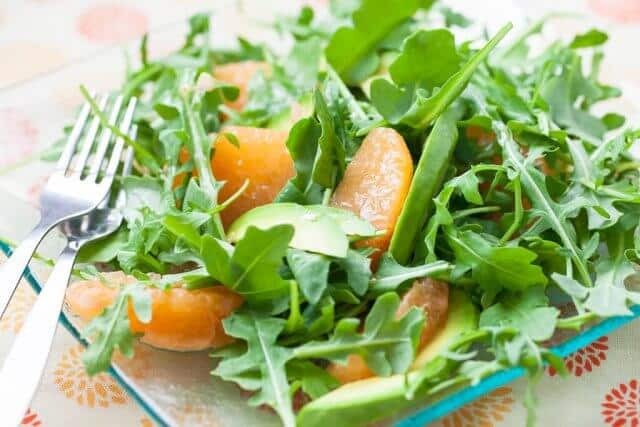 What a luscious, light and refreshing salad that’s perfect for summer. Thanks for sharing, Jaden. So well depicted salad recipe. Tried it out and it tasted just amazing!